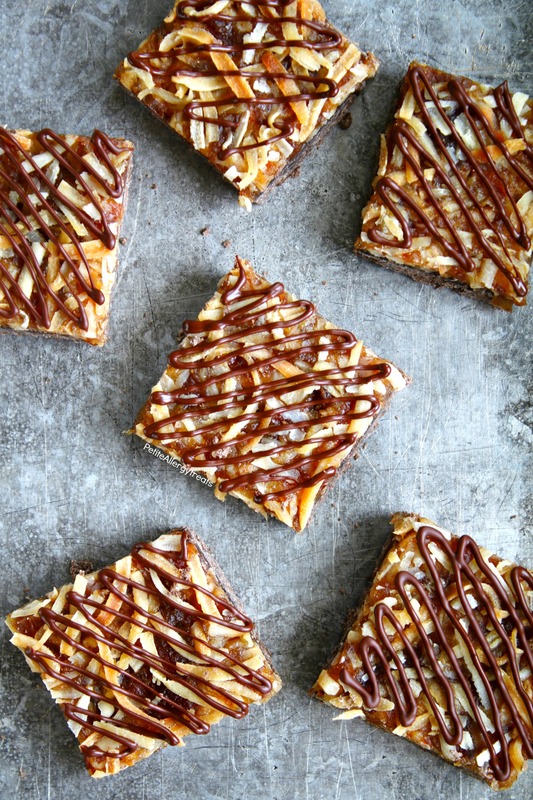 Indulge in some no bake Gluten Free Samoa Brownie Bars (vegan)! These dairy free vegan bars are samoa girl scout cookies (aka Carmel DeLites) and brownies combined. 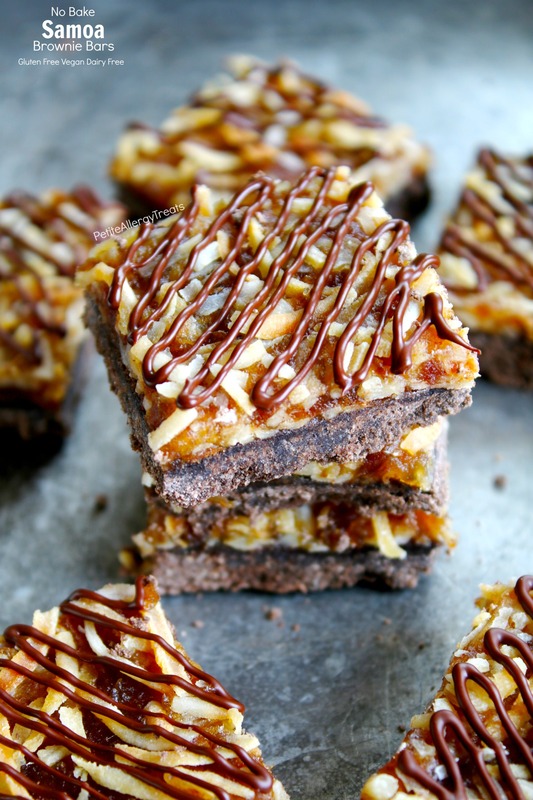 If you love sweet toasted coconut, you’ll love these samoa brownie bars! Really. I thought I was going to die. A little dramatic but not far fetched. We had the unfortunate fate of contracting the Norovirus or ‘winter vomiting’ bug. Just the name sounds gross. Never in my thirty-something years have I been so sick. My husband wanted to call an ambulance I was so violently ill from both ends (usually simultaneously). I was left weak and afraid to eat or drink anything for days…I finally feel almost normal again. Last week didn’t kill me…but this week might. I talked about all the school projects piling up a few weeks ago. Well, I can add another bunch to the pile. Who’s been singled out and assigned the 100 day of school art project? Me. So let’s do the simple math. Twenty kids (plus one extra for an example)=2,100 piece art project! But. It has to be done, therefore it will be. Not necessarily without tears…or bribery. We spent the entire weekend counting those 2,100 beads. Ten groups of ten. Dump. Ten groups of ten… I ended up recruiting my older son for help and paid him $10. Worth every penny too. We cranked those bags out in about 45 minutes. Woo! Wish me luck on presenting the kids with 100 Day Bead Water Globes. 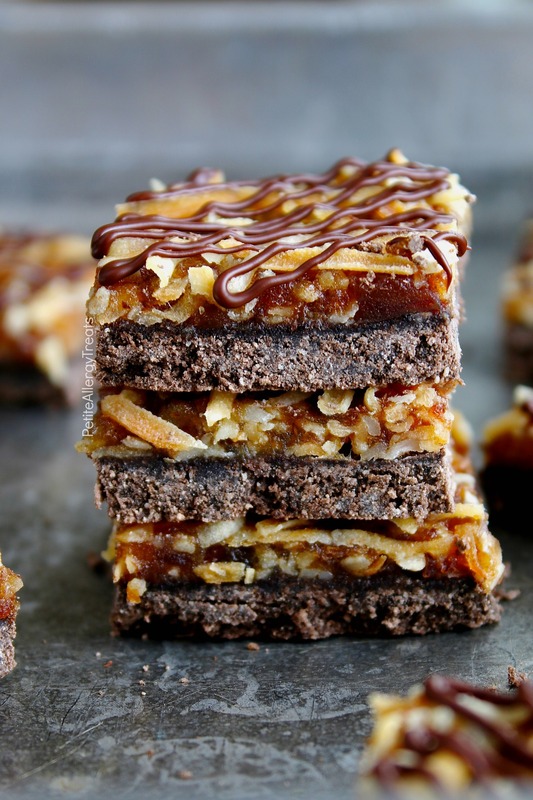 Since it’s Girl Scout Cookie season, I thought you’d like some Gluten Free Samoa Brownie Bars or depending upon where you live Caramel DeLite Brownie Bars. 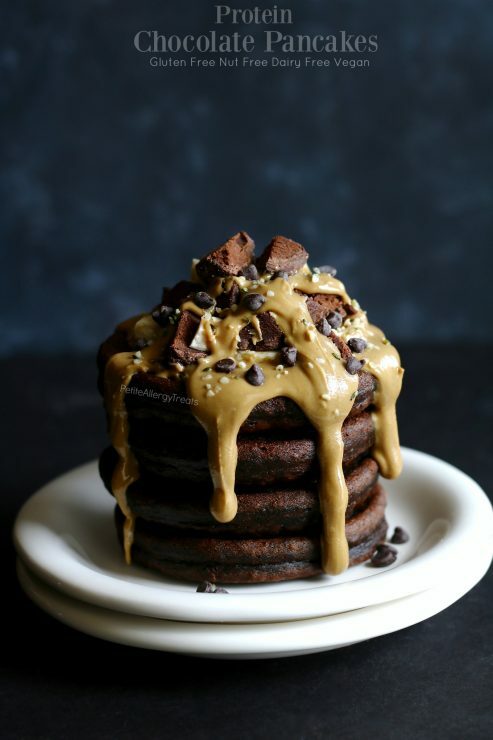 I had those chocolate protein pancakes to power me through last week. This week is different. Truth be told, I don’t feel well enough for pancakes or anything sweet. See. I’m still sick if I don’t want sweets. 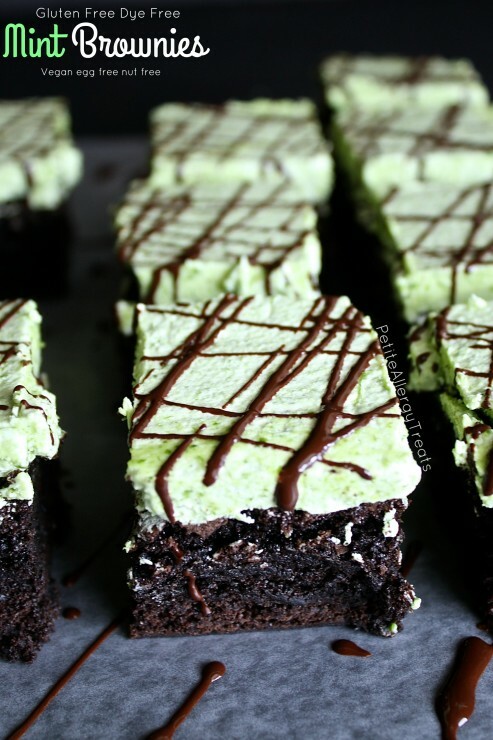 These brownies are unique since no baking is required. And I went crazy with coconut. I used coconut sugar and even used coconut flour. Brownie Layer- Combine all ingredients included melted coconut oil. Mix until a crumbly dough forms. Press evenly into a parchment paper lined 8x8 pan. Refrigerate until firm. 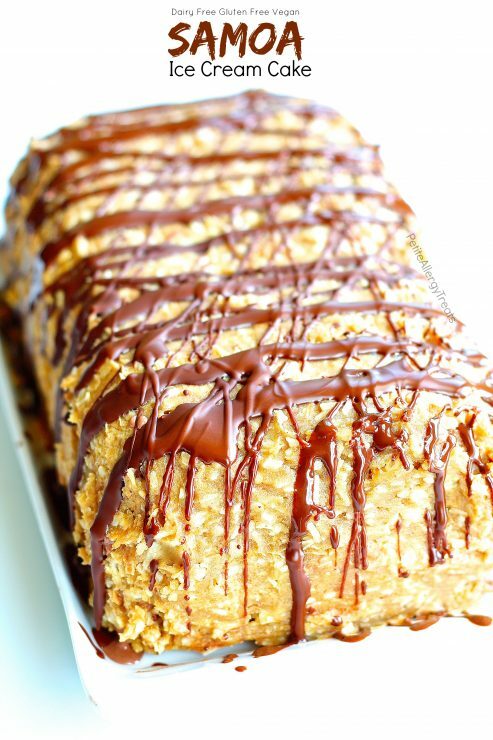 Toasted Coconut Carmel Layer- combine date paste with water in a bowl and mix until smooth. Gently fold in toasted coconut. Spread and press coconut caramel on top of brownie layer. Chill until firm. 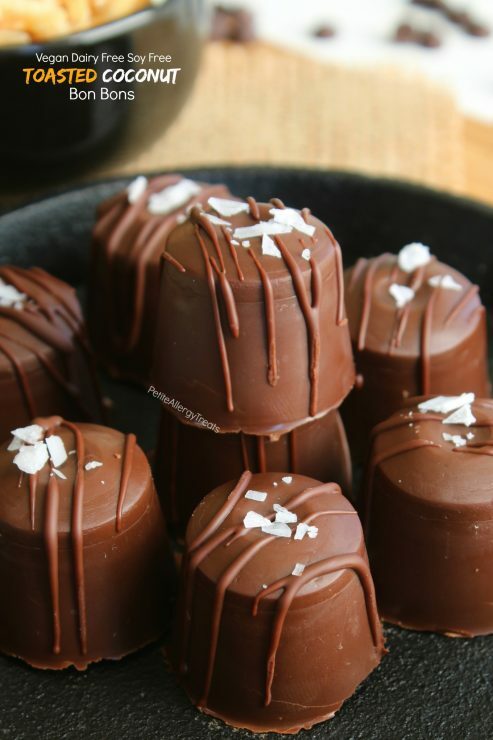 Gently heat chocolate chips in the microwave until melted. 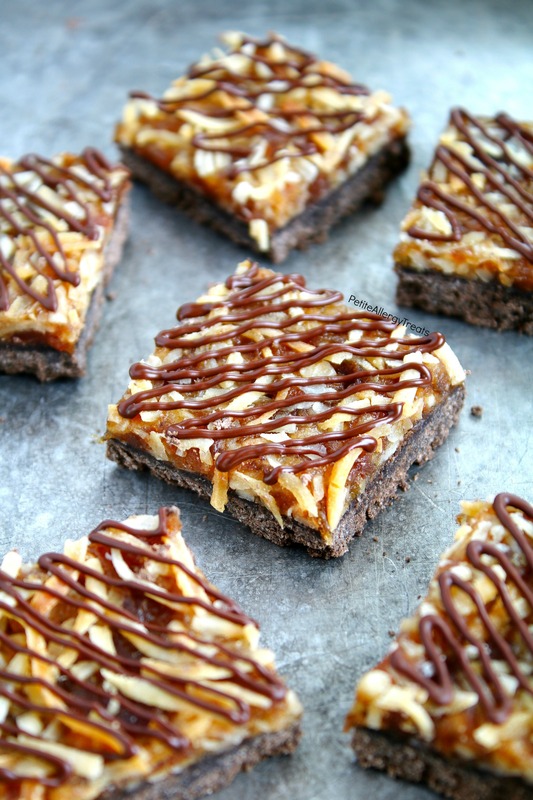 Drizzle over cut brownie samoa bars. Coconut flour tends to absorb lots of liquid. If your dough seems extremely crumbly add a little more water until it will press together. 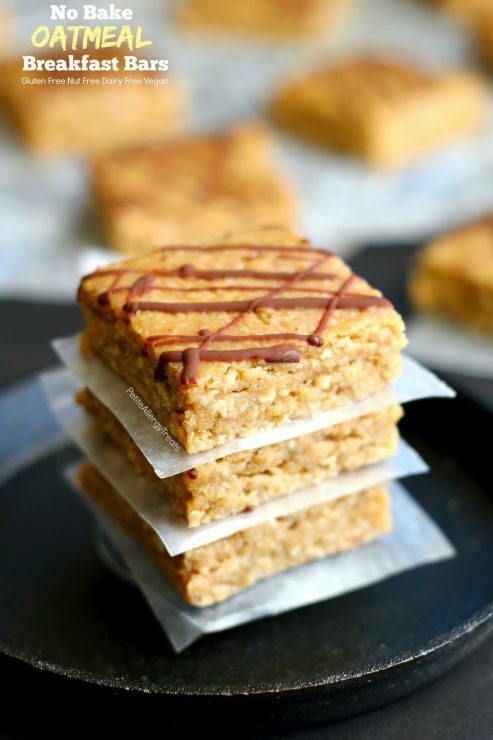 These bars are a bit fragile at room temperature but great straight from the refrigerator. Hope you feel better soon and post a photo of the 100 day bead project!